Barefoot In Blue Jeans: Salt & Straw- Division St.
Salt & Straw- Division St. 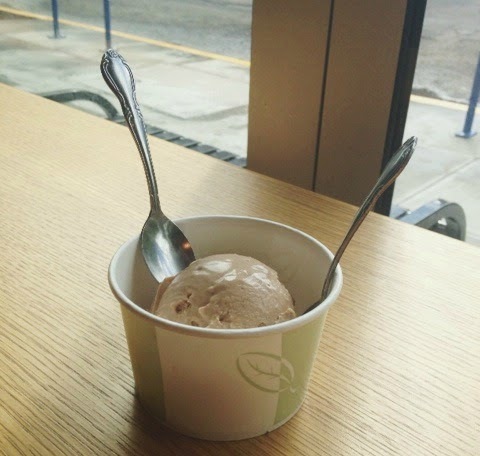 The fuss about Salt & Straw ice cream is as accurate as can be. 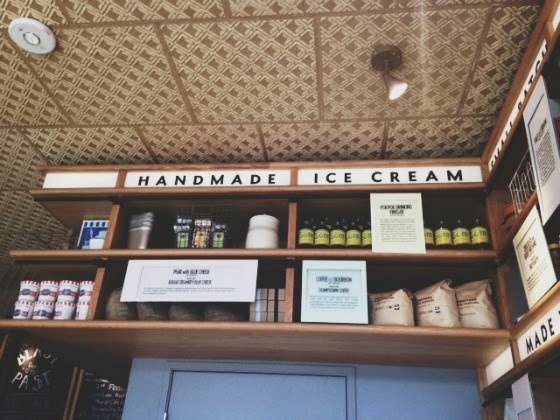 Salt & Straw ice cream is worth the fuss! My Grandma Biggs and I planned an outing on Division Street in Portland, Oregon. 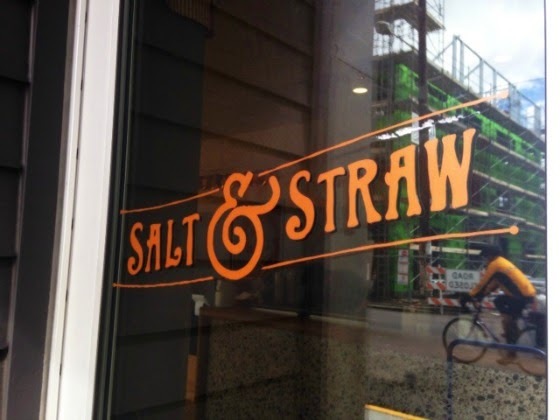 There are new stores, and eateries popping up, and as we were browsing the shops and restaurants, we came across Salt & Straw. 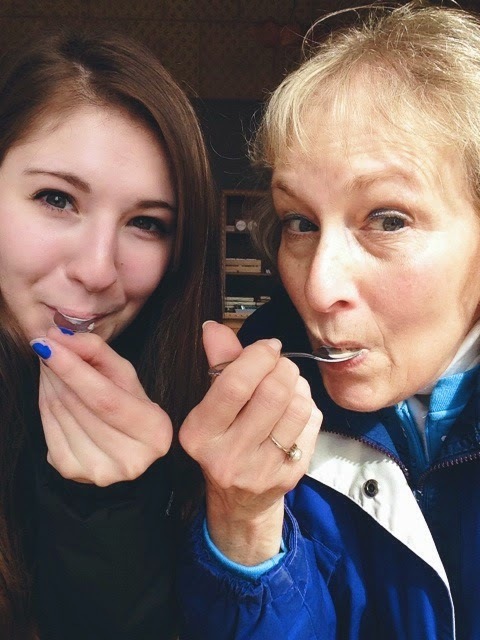 We decided to go in and sample some ice cream. 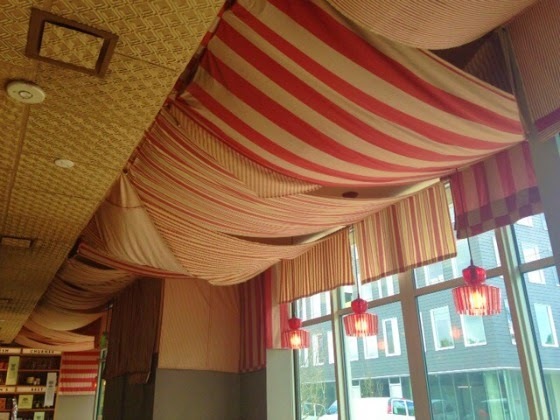 The first thing I noticed when we entered the shop were these sheets on the ceiling. It adds character to this cute, little shop. Simple and eclectic decorations catch my eye, I love this technique of decor. The second thing I noticed was this gift shop wall. 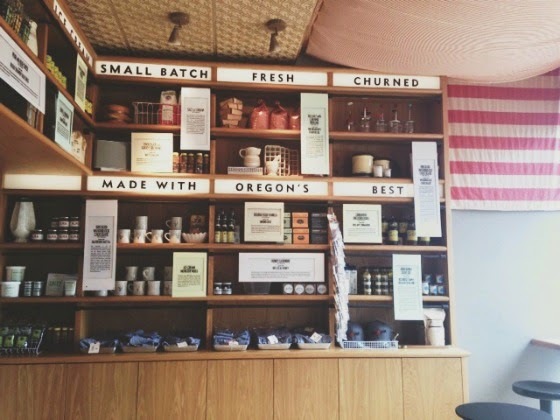 Artifacts from Salt & Straw or other, local shops. As we were reading the menu, we figured we would just buy a scoop and try some, support our local shops. It was the right decision. We chose the wonderful flavor of Stumptown Coffee (which is a Portland favorite, local coffee brewery) and Bourbon. When I went to the cash-pad, instead of "cash register" they had an iPad (which I love! The use of technology now-a-days is awesome), they also had this really neat light fixture. 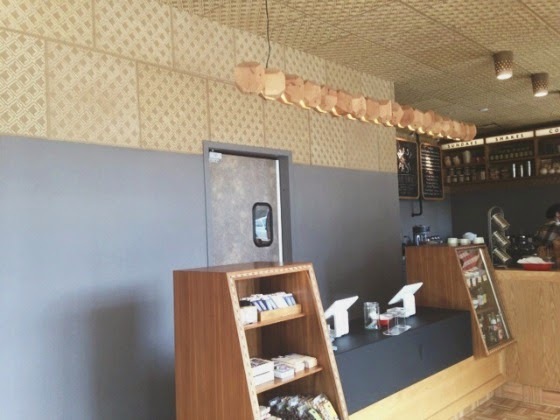 There was a string of wooden, 3D, hexagonal shaped balls, strung on a wire and lights inside. I love geometric things, and this really caught my eye. We went and sat down to eat our ice cream, which was AMAZING! We tasted the coffee, but not so much the bourbon. Still, this flavor is delicious! 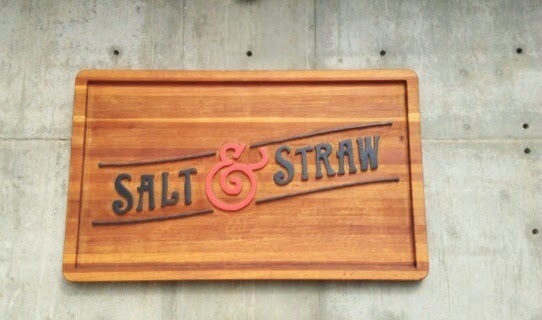 Salt & Straw is reasonably priced, delicious, and the staff were very friendly. You can purchase Salt & Straw ice cream by the pint in a carton, they have a freezer full of the flavors in cartons, ready to take home. 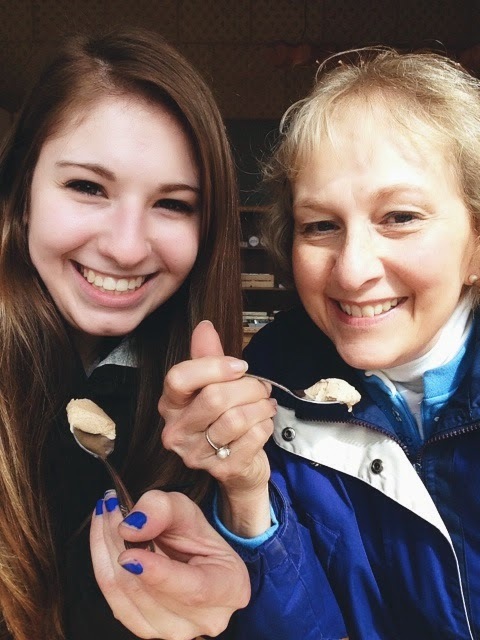 The next flavor my Grandma Biggs and I want to try is the Salted Caramel ice cream. We are definitely coming back, this place is absolutely wonderful.